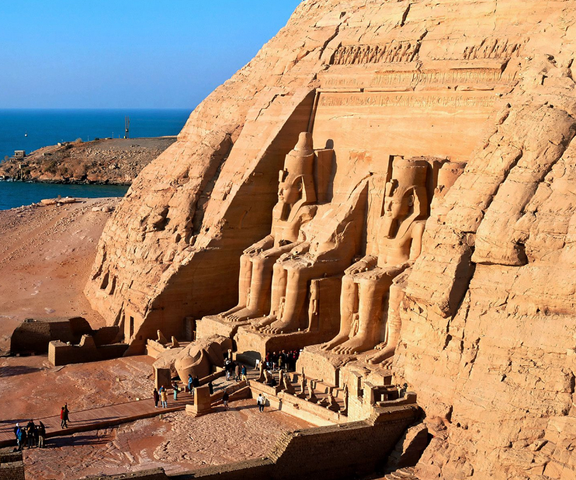 The twin temples at Abu Simbel were originally carved out of the mountainside during the reign of Pharaoh Ramesses II in the 13th century BC as a lasting monument to himself and his queen Nefertari. 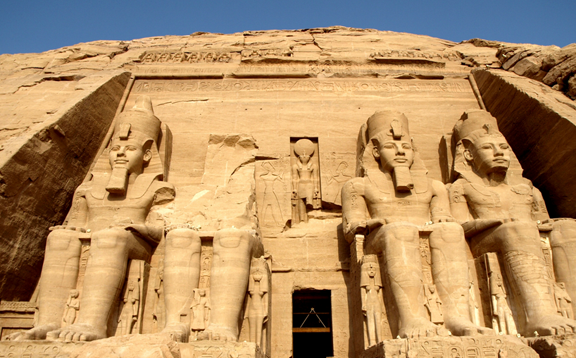 It is considered the grandest and one of the most beautiful temples in Egypt. 1264 BC and lasted 20 years, until 1244 BC. 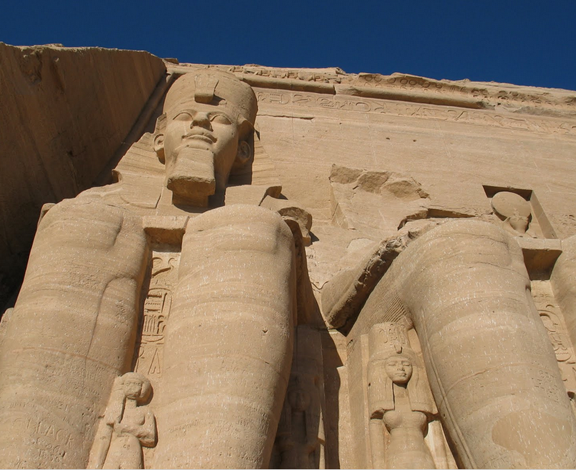 The four statues of Ramesses on the front of the main temple are 67 feet tall, and each weighs two and a half MILLION pounds! 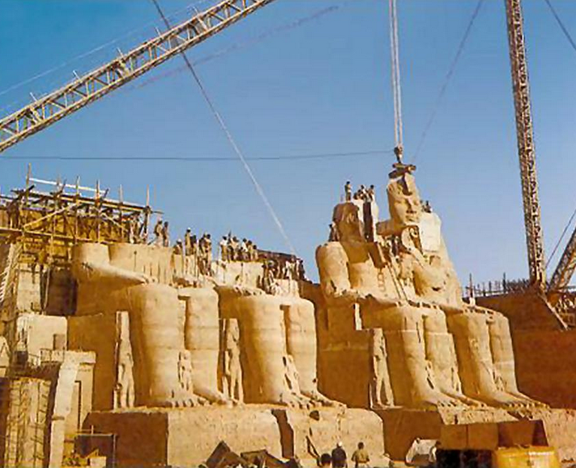 This amazing temple was built so that a shaft of sunlight pierces the gloom and illuminates statues of God Amun Re and the Pharaoh in the temple’s inner shrine every year on October 22 and February 22. ^The complex was relocated in its entirety in 1968, on an artificial hill made from a domed structure, high above the Aswan High Dam reservoir. 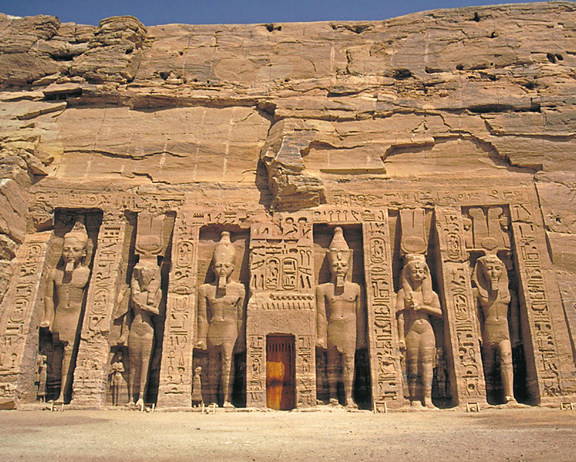 The relocation of the temples was necessary to prevent their being submerged during the creation of Lake Nasser, the massive artificial reservoir formed after the building of the Aswan High Dam on the Nile River. The temple is the fictional field headquarters of MI6 in the 1977 James Bond film The Spy Who Loved Me, containing M's office, a conference room, and Q's laboratory. 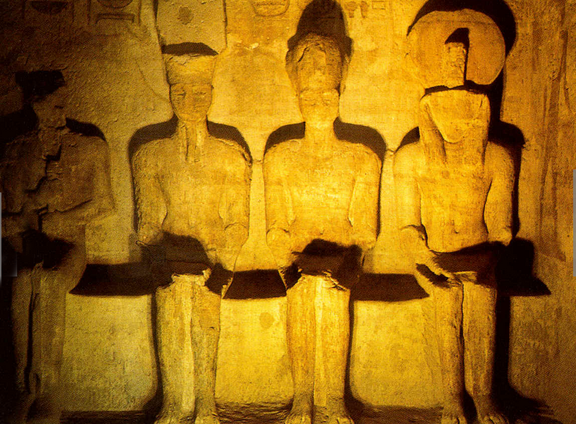 The entire world came together in the 1960s to save Abu Simbel before it became submerged by the waters of the Nile. How did an international team of engineers move this gigantic wonder of the ancient world? It is an amazing story.